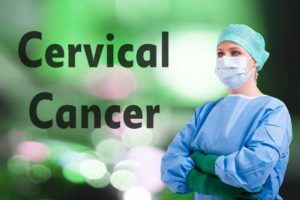 Cervical cancer is a very serious diagnosis impacting the lives of thousands of women each year. In Ireland, officials are currently starting an inquiry into why 208 women were given the all clear for cervical cancer, only to be later diagnosed with cervical cancer. At least 17 of the 208 women have died thus far and the government wants to know why a publicly funded pap smear testing program gave these women the wrong diagnosis. The false negatives for the lab results were given between 2010 and 2014. Due to the public nature of the testing, the government in Ireland is now carrying out the somber task of contacting every woman affected, including the surviving family of the 17 women who lost their lives in this debacle. If a woman is diagnosed early with cervical cancer, there can be as high as a 95 percent chance the cancer will be cured. However, when the cancer is left undiagnosed because of a false negative test, the odds go down with every year and the cancer becomes incurable. To make things uglier, the government run CervicalCheck program tried at first to keep the knowledge of the false negatives from the affected women and then argued with physicians over whose responsibility it was to alert the affected women. A single lawsuit brought the ugly truth to light. Clinical Pathology Laboratories, Inc. of Austin, Texas in the United States was sued by 43-year-old Vicky Phelan, who was a terminally ill woman from County Limerick given an initial false negative. The settlement was two and a half million euros, which translates to about three million U.S. dollars. It was found that her 2011 test was falsely called negative and in 2014 it was found that the 2011 test actually showed a strong cancer diagnosis. Unfortunately, this settlement comes a bit too late, given the fact that Ms. Phelan was told in January of 2018 that she only had about 6 months to live. In making the decision that she would not sign a confidentiality agreement in her case, Ms. Phelan may be a hero in perhaps alerting other women and also alerting officials to the fatal mistakes of the CervicalCheck program and the labs it went to for results. The above is sad news to report and it is hoped that none of our viewership has been the victim of such a dangerous medical scandal. If you or a loved has been injured or worse by the fault of medical products on the market, be sure to consult with your personal physician immediately. Do not hesitate to bring questions regarding your personal situation and possible claim to the caring legal experts at Inserra Kelley Sewell, where your health and safety is priority one.